Metropolis font here refers to the font used in the poster title of Metropolis, which is a German expressionist sci-fi silent film directed by Fritz Lang. The film is set in 2026 and revolves around the attempts of Freder, the son of the ruler of the city and Maria to overcome the immense gulf that separates the rich and the poor in the city. 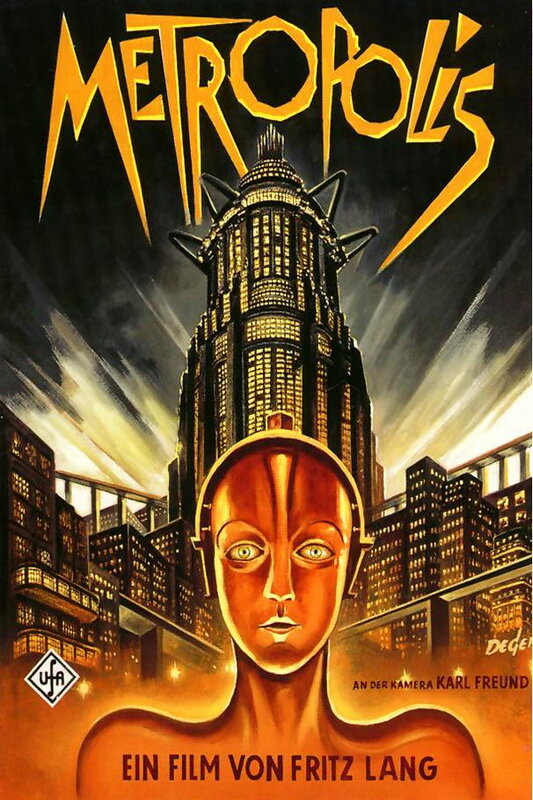 The font used for the theatrical release poster for the film title is very similar to Metropolis designed by Alphabet & Type. The font is available in capital letters, numbers and most punctuation marks and accented letters. You can download the font for free here. If you do not want to download and install the font but just like to create simple text or logos using Metropolis Font, just use the text generator below. The following tool will convert your entered text into images using Metropolis Font, and then you can right-click on the image to save it or click on the "EMBED" button to get links to embed images on the web.